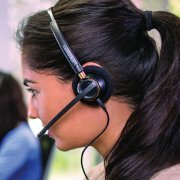 The Plantronics EncorePro HW510 an over the head monaural headset created for the modern customer service center. It's all day wearing comfort, flexible microphone and soft ear cushions make it easy to wear for hours at a time. 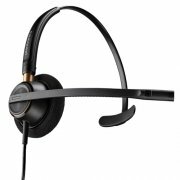 The Plantronics EncorePro HW510 is the next generation of our most popular over-the-head monaural headset. 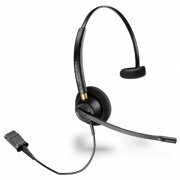 Completely re-imagined for the demands of the modern customer service center and office, the HW510 has soft ear cushions for all-day wearing comfort, metal joints that deliver durability and reliability and a flexible mic with visual and tactile positioning guides for precise positioning and clearer conversations. 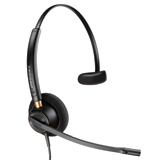 The monaural corded headset is perfect for the office as well as call center environments. It has superior flexible noise-canceling boom which allows for optimal voice clarity. With SoundGuard technology the HW510 promises clearer conversation and minimizes noise disruptions.